In order to keep the ever growing demand of our clients, we are involved in offering supreme quality range of Moulded Letters and Word. We are a leading manufacturer of Mould Letters in Delhi - NCR . We offer our products under the brand name" Promote India". To supply the ever rising needs of our customers, we are occupied in offering a wide range of Moulded Letters. Our client can avail these Acrylic Letter at affordable price, these are manufactured from high grade quality material. These letters are manufactured using superior quality material and upgraded technologies making them easy for molding in desired shapes. 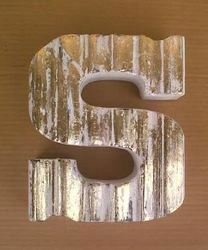 These acrylic letter are highly in demand for their attractive design. We manufacture and supply an exhaustive array of signages in a variety for wide applications. These are developed in very artistic and creative manner. These are extremely effective tools of advertising and reaching out to the common man. Moulding Letters Lettering style, size and the metal are the factors that influence the cost factor of the moulding letters. In Smile prints, the orders are undertaken based on the preferences of the business establishments or trading houses. 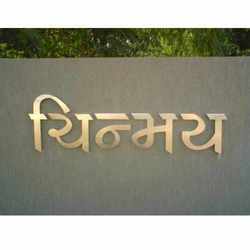 You can outsource high quality moulded letters for your name boards.